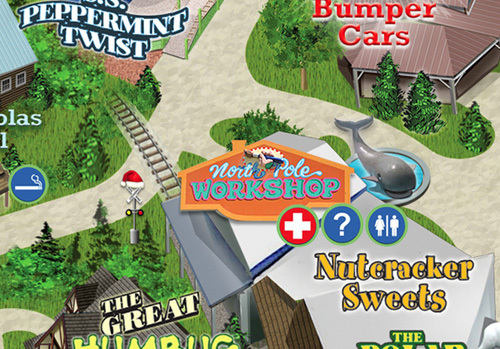 This is the gift shop where you can put on your apron and become an official “Santa’s Helper.” Here’s where you can create your own t-shirt by placing your hand where Rudolph’s antlers go. We’ll press it permanent for your best memorable souvenir shirt. There’s also Candle Art, Sand Art, Glitz & Glitter, Elf Ooze and much more. Lots of interactive hand-made crafts to create and purchase here!